In Part 1 of this series, we tackled the two most important factors that you should look into when choosing trekking shoes. Now, what kind of trekking shoes best fit you? Well, it all depends on the kind of trekking you are engaged in. Modern trekking shoes fall into 4 broad categories. 1. Light hiking shoes – These footwear look like beefed up, muscular running shoes. They feature low-cut openings for maximum flexibility. Their midsoles are quite flexible, making them perfect shoes for day hiking on rolling terrain. Trail runners and ultralight backpackers choose light hiking shoes on off-road runs and long-distance journeys due to the footwear’s light weight and flexibility. 2. Regular hiking shoes – Flexible and tough, this mid- or high-cut general use footwear is designed for both day hikes and weekend backpacking trips. Typically, the thick outsoles feature deep, aggressive lugs that allow the shoes to bite into the dirt. The shoes require a modest break-in time, but once broken in, they are almost as comfortable to wear as light hiking shoes. 3. Backpacking boots – These durable shoes are designed to haul loads of considerable weight during multiday treks deep into the wilderness. The soles are stiff and durable, making them perfect for a lot of off-trail travel. If you’re expecting to scramble on sharp, rocky terrain, then backpacking boots are the ideal footwear for you. 4. Mountaineering boots – The toughest of the tough, these hulks are specially crafted for alpine mountaineering. They are designed to accommodate beefed-up loads as well as to attach crampons that are necessary for glacier travel. 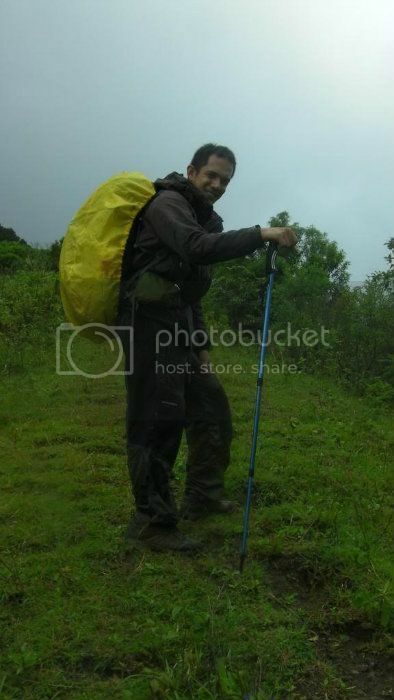 For tropical mountaineering such as here in the Philippines, mountaineering boots are impractical. 1. Low-cut – Shoes with low cut openings are great for lightweight travel or for walking with light loads on good trails. The low-cut, however, makes your ankles and feet susceptible to invasion from sand, mud, dirt, pebbles, or water. They also have less roll-resistance for ankles. 2. Mid-cut – Mid cut shoes adequately wrap your ankles and effectively prevent debris and water from entering your shoes. However, it doesn’t allow your ankle to rotate and flex freely. Wear these mid-cut shoes if you are carrying moderate loads on multiday trips. 3. High-cut boots – For serious, multiweek, or alpine trekking, high-cut boots are the best. The high cut delivers excellent ankle support and balance on extremely rough terrain. They effectively prevent water or debris from invading your shoes. However, you need a considerable amount of time to thoroughly break them in before exposing them to a long-distance adventure. 1. Full-grain leather – As the main upper shoe material for classical leather trekking boots, full-grain leather offers exceptional toughness as well as resistance to abrasion and water. In most cases, these are built into boots that are designed for heavy loads, long trips, and rugged terrain. However, it is not as breathable as more contemporary shoes, and ample break-in time is required. 2. Nuckbuck leather – This material looks like full-grain leather, but it has been thoroughly buffed to look a lot like suede. Just like full-grain leather, nuckbuck leather offers high resistance to water, abrasion, and wear and tear although it suffers breathability issues. It is more flexible than full-grain leather, thus, more comfortable. Considerable time is needed to break it in. 3. Split-grain leather – This material is typically combined with a nylon mesh that makes it comfortable, breathable, and lightweight. However, it is not water resistant (although many shoes feature waterproof liners to counter this problem). Some people do not mind this because the mesh allows the moisture to evaporate. Additionally, the nylon mesh has a tendency to snag on to twigs, grass, and other debris. 4. Synthetic materials – Usually in the form of polyester, nylon, and synthetic leather, synthetic materials make up the uppers of many modern trekking shoes. The primary advantages of synthetic shoes are that they are lighter, break in faster, dry faster, and cheaper than true leather shoes. However, they are not as durable as leather shoes since majority of the stitching is done outside the shoes. Additionally, not all synthetic materials are waterproof, so they may absorb lots of water. 5. Waterproof synthetics – Commonly labeled as Gore-Tex or eVent, these materials are actually specially designed materials that sandwich a few layers of water-resistant membranes. As the term implies, waterproof synthetics help keep water out, allowing your feet to feel dry even in wet conditions. However, the same membrane may reduce breathability, and your feet may feel uncomfortably warm on hot days.